In this blog of ours so far we have let you know something about the (very few) markings we apply to our products. The ochs und junior font was designed by Ludwig – it was something he developed many years ago. “Do you know what that is?” Vico asked me back in his workshop. “It’s a branding iron!” A branding iron! 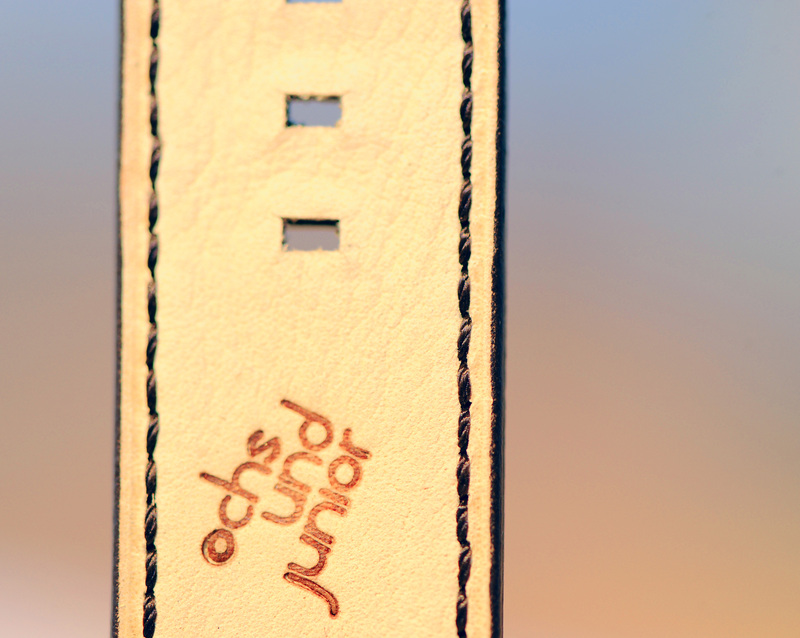 Brand branding – Oechslin had wittily brought the modern era’s fixation with branding back to its roots: here we were, branding our cowhide watch straps! 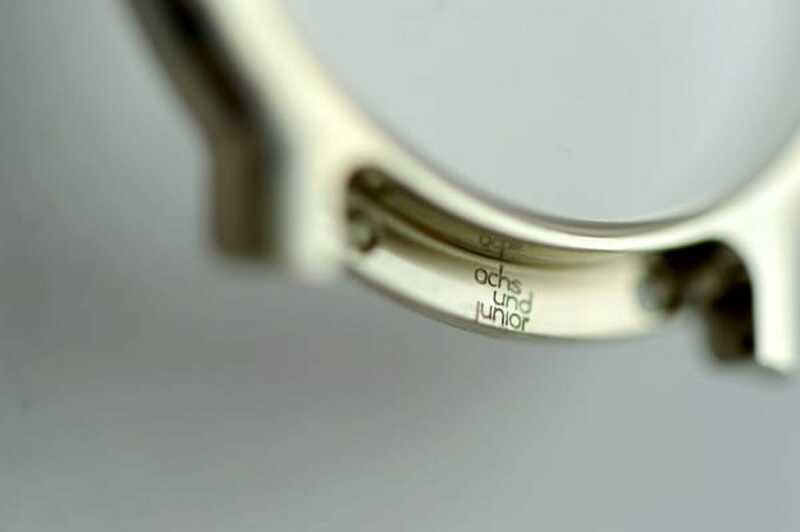 ochs und junior watches are free from any form of labelling or designation on the dial. The settimana junior carries its young owner’s name, address and telephone number engraved on the back, while the case of the anno cinquanta is discreetly engraved with our company name between the strap horns (and therefore hidden from view by the strap): this is a requirement of Switzerland’s precious metals regulatory agency, which is why the metal’s purity is also indicated (925 for the silver case, 750 for the gold one). Alongside this is the official Swiss hallmark (the head of a St. Bernard dog) and the stamp of the Vienna Convention. And that’s it! Ludwig thought that we’d find it too much if we went about manually embossing every sheet of letterhead, every envelope and every business card with the ochs und junior logo… But you know, we’re a small watchmaking firm with a modest output and a lean back office, so we love doing the embossing by hand. It means that every letter we send out is unique (although it probably would be anyway if you took the contents into consideration). 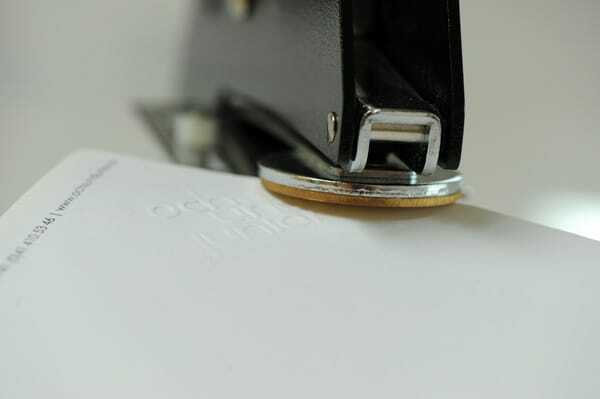 By the way, we use lightweight recycled paper!